Come and meet our Rabbits, Goats, Alpacas and Clydesdale Horses. There is a timetable of Hands on Activities all day long and lots of fun to be had in our Giant Indoor Play Barn. From party invites to party bags, we can organise your childs party and provide all the party food. All you have to do is remember to bring the cake. The VIP Party £15.95 per child. 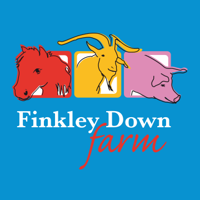 You can stay all day and join in as many Finkley Daily activities as you wish, which are scheduled throughout the day. After School Party at just £12.95. Available from 3 30pm on weekdays during Hampshire Schools Term Time. Make a Bear Party £21.95 per child. A great party activity plus a teddy to take home for each child. Each child gets to stuff their own Teddy by hand. They also get a wishing heart to put in the Teddy and a certificate to name their furry best friend. Outfits are available to purchase. We can take the party guests on an exclusive tour of the farm lasting 45 minutes. This will include some private animal handling sessions. Additional cost of £45. Pony ride for each child – weather permitting , plus pony grooming. Only available Monday – Friday, term time. Additional cost of £60. Get hands on with our reptiles in a personal tour experience. Only available Monday – Friday , term time. Addition cost of £45. Your chance to get up close to a owl. Additional cost of £45. Eating times are 12pm (use of party area 11.30am – 1.30pm) and 4pm (use of party area 3pm – 5.30pm).